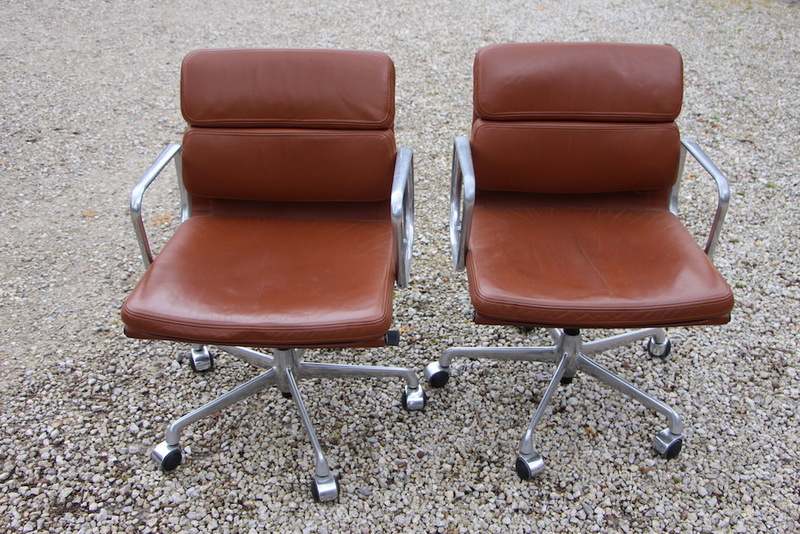 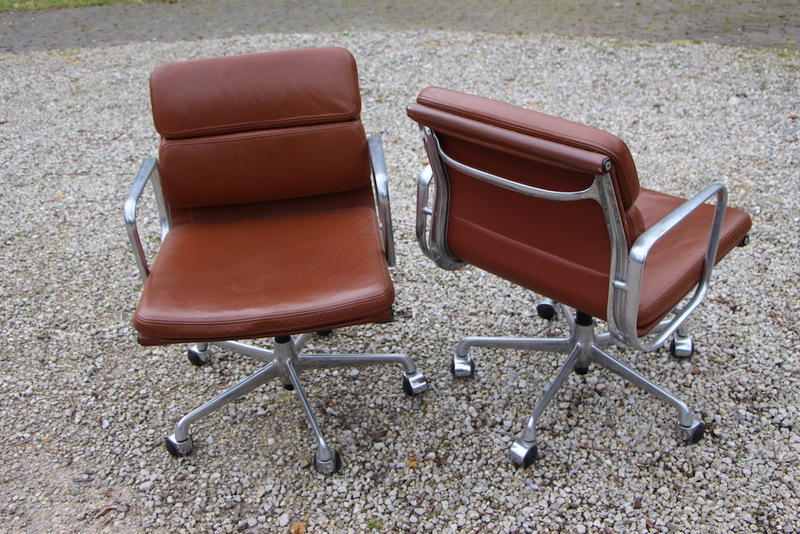 Beautiful pair of soft pad desk chairs by Eames. 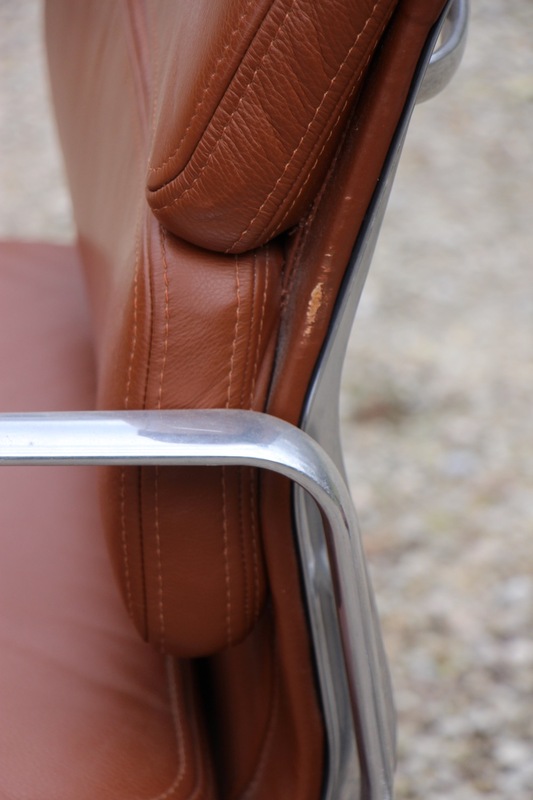 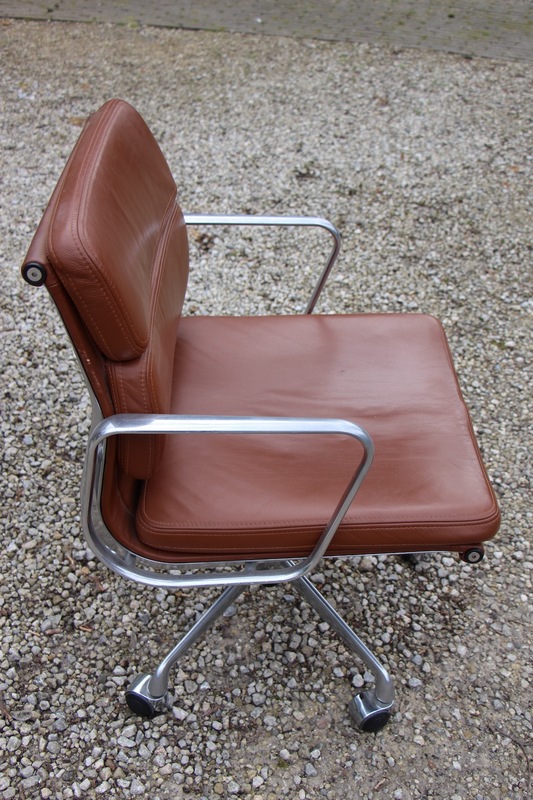 There is no tag or sticker or anything that could attest the manufacturing by Herman Miller or Vitra. 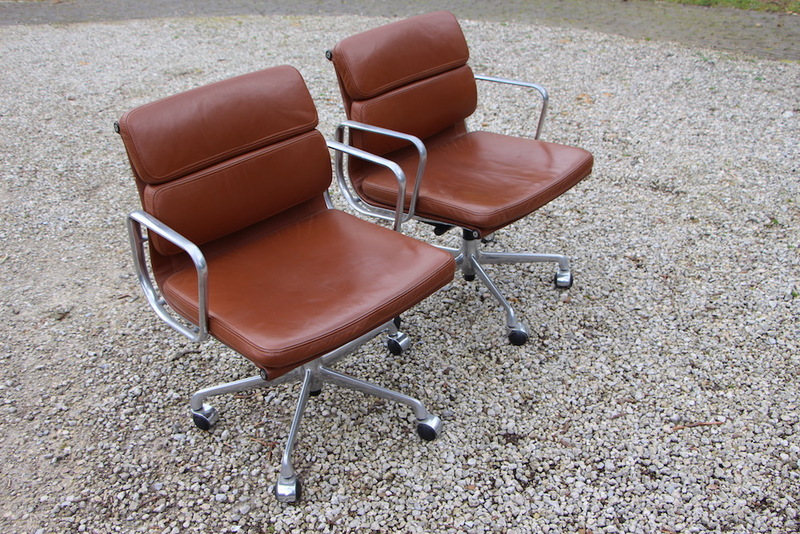 I think they're Vitra because of the base but I cannot tell for sure. 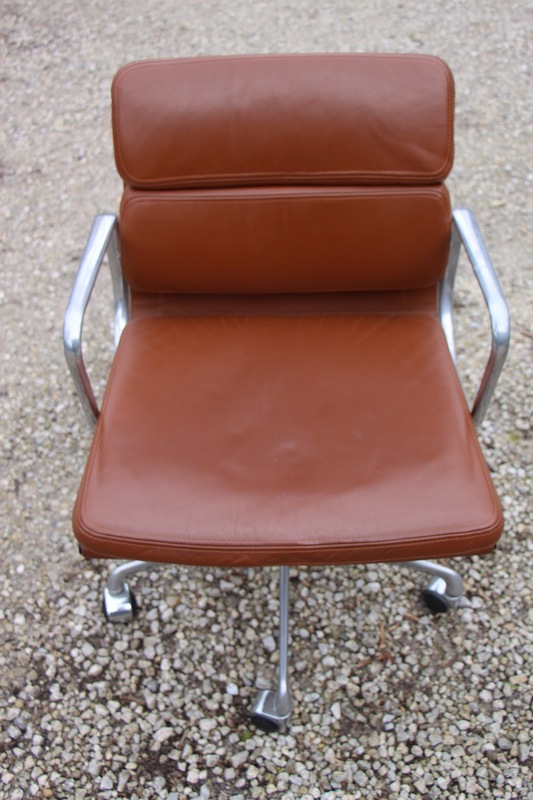 The cognac leather is in very good condition. 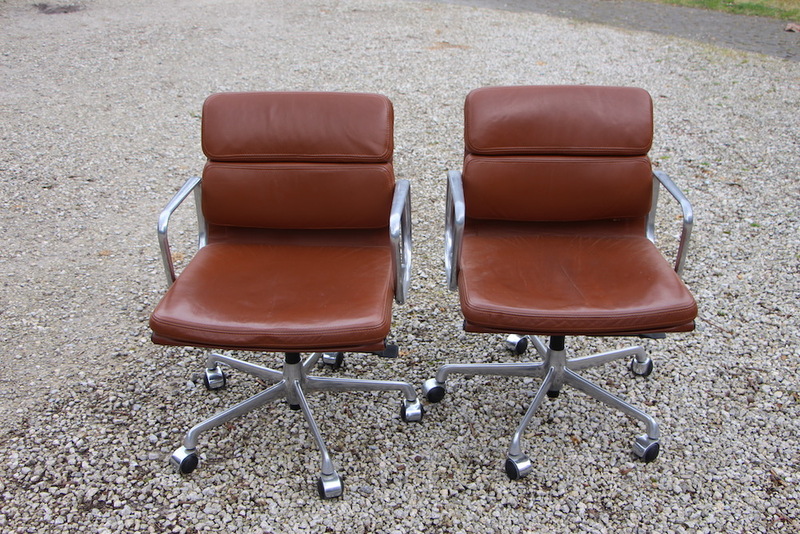 The chairs can go up and down. 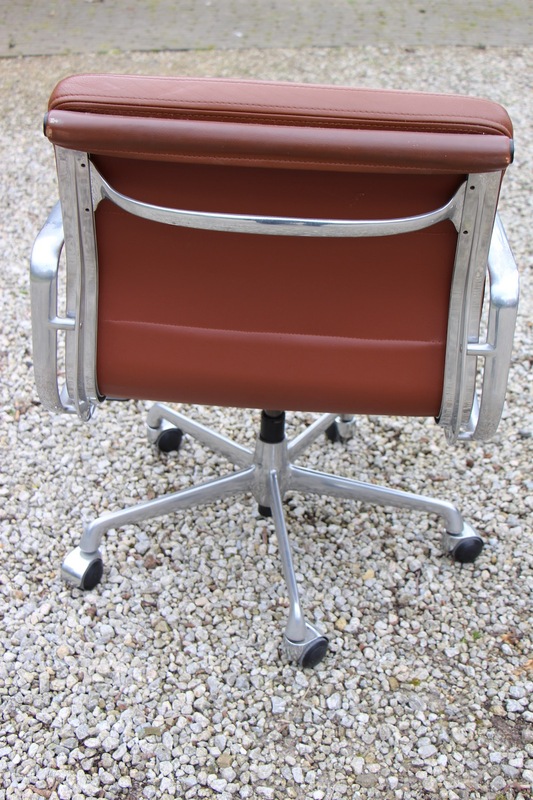 Extremely comfortable as desk chair. 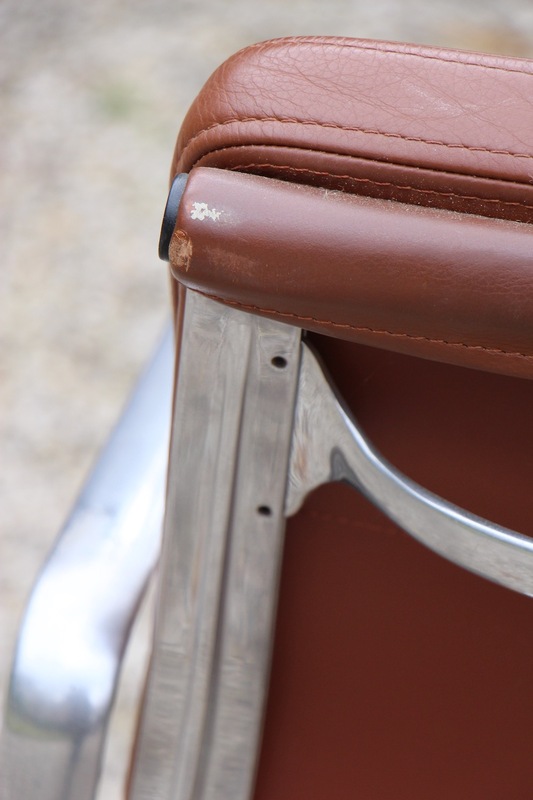 Small traces of usage shown on 2 last pictures.